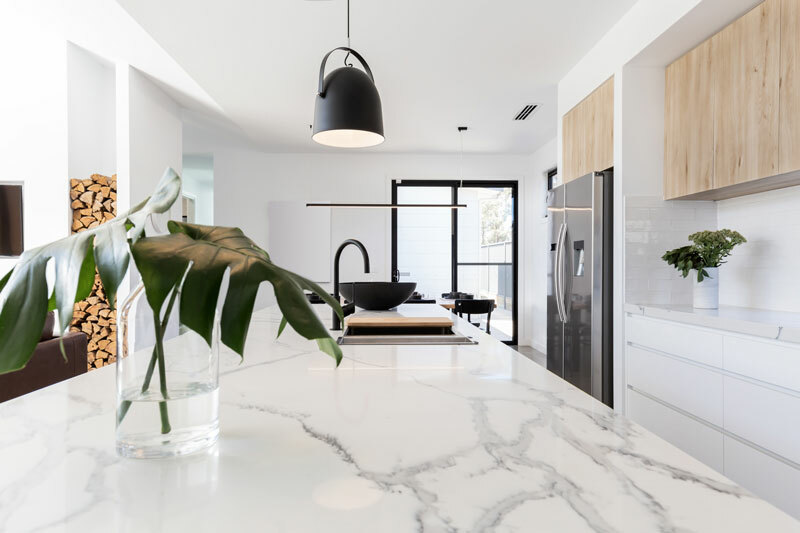 Designing a kitchen that works for you and looks amazing is a balancing act between practicality and style and nowhere is that element more important than when selecting a benchtop material. The bench is a dominant visual feature of any kitchen but it also has to be able to stand up to some pretty rough treatment. Spills, sharp knives, heat and high traffic mean durability is essential for a kitchen to stay looking good. A material that I have specified for many clients is the Prime Stone engineered quartz stone surface from Prime Panels. This product creates stunning results and is engineered to perform well while still being easy to look after. Let’s face it, we don’t need anything that’s going to give us another job to do. Made up of over 90 per cent quartz and strengthened with resin, this product gives you high-end stone look that’s low maintenance. Another aspect of your kitchen that is so important to get right is the pantry storage. If the kitchen is the heart of the home, then the pantry must be at the heart of the kitchen. Most of us are in and out of there dozens of times a day, often spending more time than we’d like searching for what we want. I am impressed by the innovative approach that Hafele have taken to solving our food storage problems with the TANDEM pantry system. This clever system is based on the same design principles as a fridge. The things you use more frequently are kept in the doors and the shelving glides out to meet you when you open it. Designed so you can easily see what’s inside and reach what you need. The height of the shelves can also be adjusted as your needs change over time, making it a great solution for families at any stage. The benchtop and the pantry are not the only things you need to consider when designing your kitchen, but if you get those two things right you’re well on your way towards a great space that works well and looks fantastic.